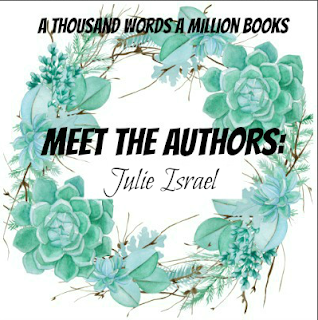 Hi Everyone and welcome to day three of the October edition of Meet The Authors! I have with me another debut author whose first book came out earlier this year. 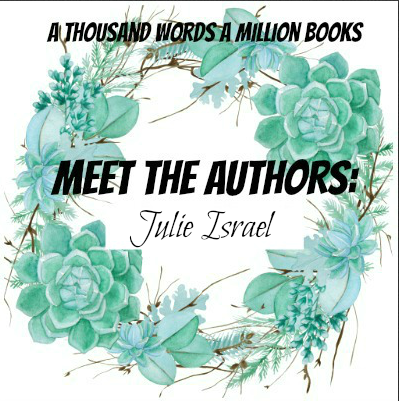 I had the opportunity to read and review it and it was SUCH a stunning book and after I read it, I knew I simply had to have it's author, Julie Israel on the blog! So, (I know you're not here to hear me ramble on) without further ado, please welcome the LOVELY Julie Israel who is talking about herself and her debut novel, Juniper Lemon's Happiness Index in her interview down below. Julie is also hosting an International Giveaway for ALL of you lovelies to participate in and I hope you get as excited about this book as I am! 1. Do you prefer Hardbacks, Paperbacks, Audiobooks or E-books? I think I like physical books the best (and perhaps paperback because they are more portable), but I am almost always listening to an audiobook, too. Each format can bring the story alive in different ways and it’s fun to experience a spectrum of that. But audiobooks have the added perk of helping me sneak in my reading when I’m too busy or visually worded-out to read! 2. Juniper Lemon has two of the prettiest covers I've seen. What are some of your favourite YA covers from 2017? Think it’s safe to say I am a sucker for original art and pretty lettering! 3. Juniper Lemon was your debut novel. What are your top five 2017 debuts? OH MAN I don’t know if I can choose, especially when my debut TBR pile is still so huge! My favorite that I’ve read so far is Mary Taranta’s magical SHIMMER AND BURN -- its enticing new world and rules drew me in from the start and gave me a fantastic Howl’s Moving Castle vibe. Some of my most highly-anticipated debuts are currently in a stack to read on my desk: THE SANDCASTLE EMPIRE by Kayla Olson, THE GALLERY OF UNFINISHED GIRLS by Lauren Karcz, THE HATE U GIVE by Angie Thomas, WHEN DIMPLE MET RISHI by Sandhya Menon, and CARAVAL by Stephanie Garber! 4. 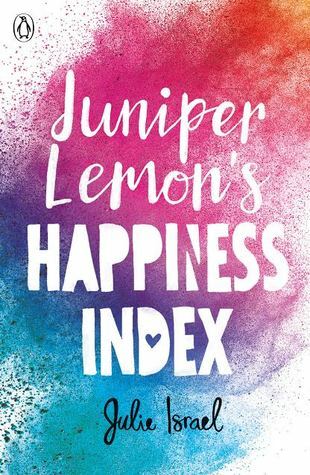 For those readers who haven't heard about/read Juniper Lemon's Happiness Index yet, could you tell them a little about what it's about? Certainly! JUNIPER is about a grieving teen who finds a love letter her sister wrote the day she died addressed only to “You” – and her resulting laughter/tear-filled mission to identify You and deliver it. Along the way she meets new friends, finds healing in unexpected places, and learns that just about everyone in her life has a secret – something she herself has in common with her sister, as we discover when she loses one she’s written on an index card and her scramble to recover it kicks off a series of interpersonal (mis)adventures. In short: it’s a warm, funny, poignant story about loss, sisters, friendships, and a coming-of-age realization that there are hidden sides to everyone: even those we think we know best. 5. In the book, Juniper forms a support group full of friends for herself. Are female friendships in YA important to you? What are some of the other YA books you've read that showcase friendships? Definitely. For me it need not be female friendships exclusively, but I love to see girls supporting girls, and I also think it’s important to see books where a romantic relationship is not necessarily the most important one. 6. Cami was in love with a mystery person we only know as YOU. Were you always going to leave the ending about who YOU was as open ended or was there a draft where he/she was revealed? In the earliest drafts, I had one specific person in mind and did reveal who it was near the end. However, in subsequent revisions and not only writing that reveal out, but writing more interactions in, I sincerely felt there was a moment when You’s identity was given back to the story, and that the person I originally flagged as You no longer definitively was. Now I feel that there are not only a number of people You could be, but that, given the limit to what Juniper is able to find out, there is no conclusively right or wrong answer. 7. What were your thoughts when you first saw your UK and US covers? It was so fascinating to get a glimpse at the cover-making process! I think both covers really delivered on the concept we were going for (a visual at odds with the overly-bright title), although I must say I really swooned when I first saw the UK cover. As mentioned above, many of my favorite covers use original art/title treatments, and the salt + watercolors (plus the subtracted/negative space title!) is directly from the book! Julie Israel lives in Portland, Oregon and holds a BA in Creative Writing. After a stint teaching English in Japan, she returned to her native state to pursue writing fiction. When not writing, she is likely reading, making art, or learning something new (music, language, obscure party tricks) to fuel her fire. Juniper Lemon’s Happiness Index is her first novel. Blurb Description: It's hard to keep close a person everyone keeps telling you is gone. But then she loses something herself. A card from her daily ritual, The Happiness Index: little notecards on which she rates the day. The Index has been holding Juniper together since Camie's death - but without this card, there's a hole. And this particular card contains Juniper's own secret: a memory that she can't let anyone else find out.